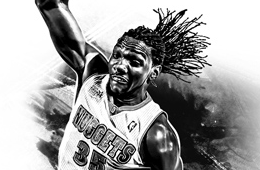 Denver Nuggets energizer Kenneth Faried scored a season-high 30 points, going 12-of-14 from the field and hauled in seven rebounds to beat the visiting Kings. 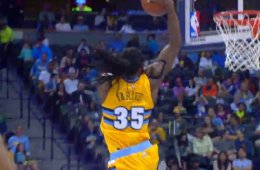 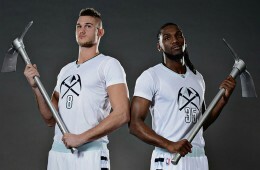 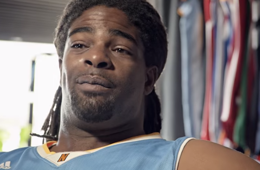 Nuggets forward Kenneth Faried stars in one of two new TV commercials from adidas and the NBA celebrating the launch of the revamped NBA Swingman jersey. 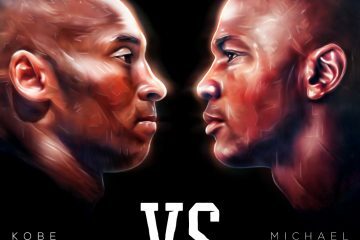 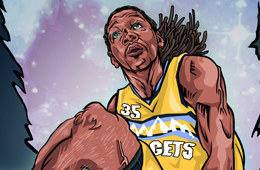 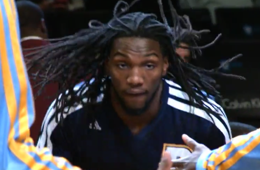 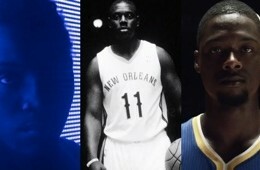 Artist Chris Slabber created this Kenneth Faried commissioned piece with the aim of conveying the Manimal's intensity. 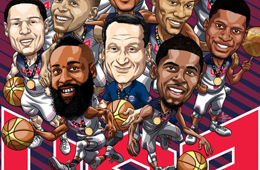 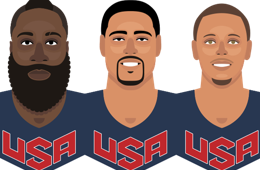 Designer Alessandro Comotti from Milan, Italy put together this tribute infographic of the Team USA FIBA World Cup Champion squad. 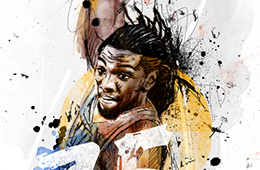 Artist Franky Anduiza captures breakout player of the FIBA World Cup Kenneth Faried bursting out of the darkness and into a huge pay day.